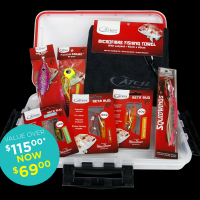 Freestyle Kabura Value Packs are perfect for introducing newbies to lure fishing with all four legendary Freestyle Kaburas, replacement skirts and a practical lure box. 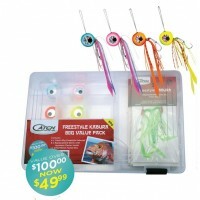 The Kingfish Value Pack is an ideal gift for serious big fish jiggers. 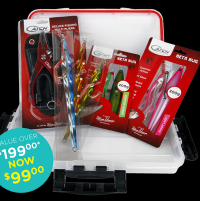 The Catch Kingfish Value Pack comes complete with a 200 gram and 300 gram Beta Bug, three Long John Slider kingfish jigs in weights from 150 grams to 300 grams, Catch Deluxe pliers and a waterproof lure box. 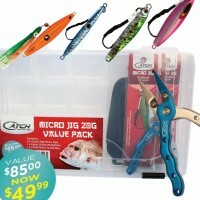 The Micro Jig Value Pack is perfect for anglers advancing from softbaiting or trying micro-jigging for the first time. 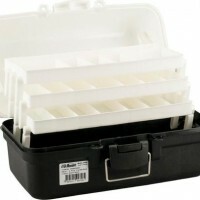 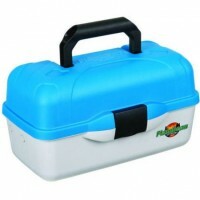 Pro Hunter tackle boxes are built to high standards, not high prices, and provide exceptional value and performance.